Thirty-one-year-old Katherine Ibanez was driving her car in Attleboro earlier this month, when she suddenly jerked her car to avoid hitting another car. The foot-long pole crashed through her windshield and into her arm, chest and back. Her lung was punctured in the collision. The pole caused extensive damage throughout her body, but sparing her main artery. Ibanez was admitted for nine days in the hospital and her medical procedures are not over. She has already had numerous blood transfusions and surgeries, with more to come. Some of the injuries that motorists can sustain in a car accident can be particularly bizarre. One of the most severe is called an impalement injury. It can be fatal due to the inherent risk of massive blood loss from the injury site. As bizarre as an impalement injury may seem, they can happen in different way causing different types of traumatic injuries. 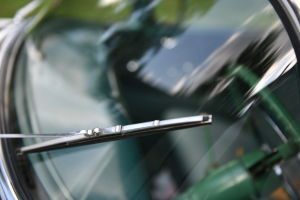 In a car accident, it is possible for the occupant to be impaled by a piece of the car or an outside object. A piece of the vehicle frame may impale an occupant on any part of the body. A witness to such a severe accident may want to pull the object out of the impaled victim. However, that is not be the best option because of the risk of bleeding, which the bystander may not be able to control, causing a possible fatality. If you or a loved one has experienced this traumatic type of car accident, please call the lawyers at the Law Offices of Jeffrey S. Glassman at (617) 367-2900 to tell us your story. We can help you determine if someone else is at fault, and get you compensation for your injuries.